Acrylates were introduced in the early 80s to the waterproofing industry as a less toxic alternative to acrylamide for repairing structures. Acrylamides are sold in powder form, while acrylates come ready for use in a liquid form. 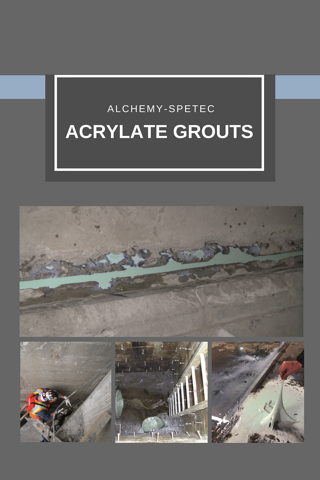 Acrylate grouts are used to stabilize soil, seal leaks in concrete and brick walls, repair joints in sanitary sewer pipe laterals, and repair rock fissures. Due to their low viscosity ratings, these acrylates can be used in a variety of applications such as industrial, commercial, and municipal. Consolidate soil and prevent erosion around floors, walls, etc. Want more information on acrylate grouts and other leak seal products?